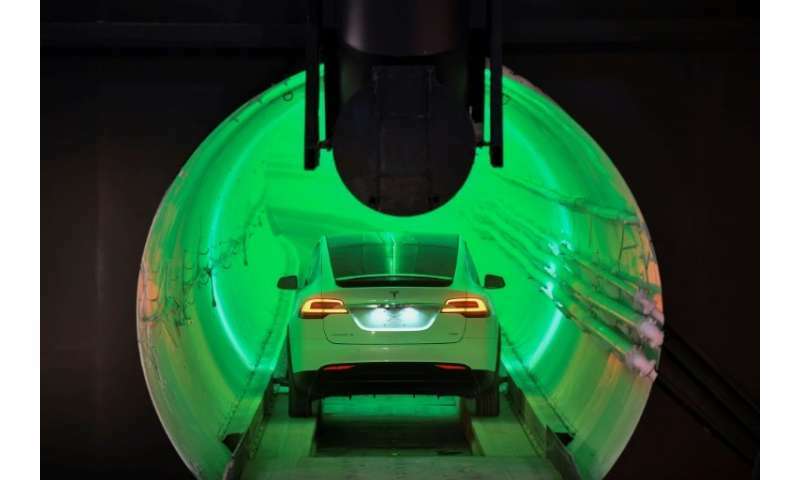 The sample tunnel is part of Musk's vision to have an underground network that cars, preferably Teslas, can be lowered to by lifts, then slotted into tracks and propelled along at speeds up to 150 mph (241 kmh). "The only way to solve this is to go 3D, for the transport system to match the living quarters," Musk said of solving the problem of traffic congestion in urban areas. "It's all relatively simple. No Nobel Prize is needed here." 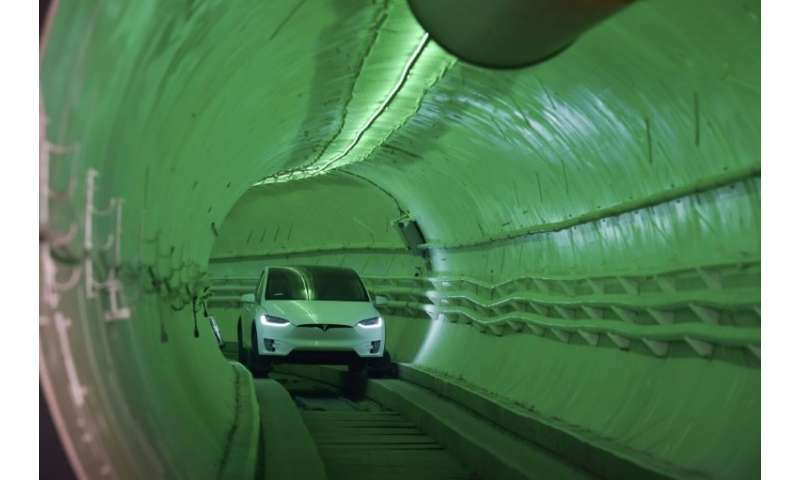 An entrance to a sample tunnel was shown publicly for the first time in this city near Los Angeles as the initial stage of Musk's project to revolutionize city traffic by zipping along below congested streets. "The deepest mines are deeper than the tallest buildings," Musk said. "The profound breakthrough is very simple: it's the ability to turn a normal car into a passively stable vehicle by adding the deployable tracking wheels, stabilizing wheels, so that it can travel at high speed through a small tunnel." 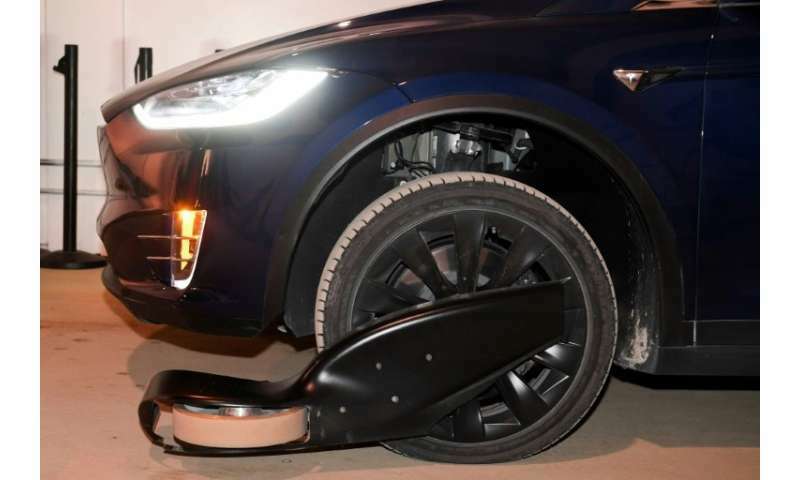 The "tunnel test" unveiled Tuesday appeared simple: a narrow tube, only 3.65m in diameter (12 feet), freshly painted white, in which a Tesla Model X is fitted with stabilizers on wheels to slot into the track and avoid bumping the walls. 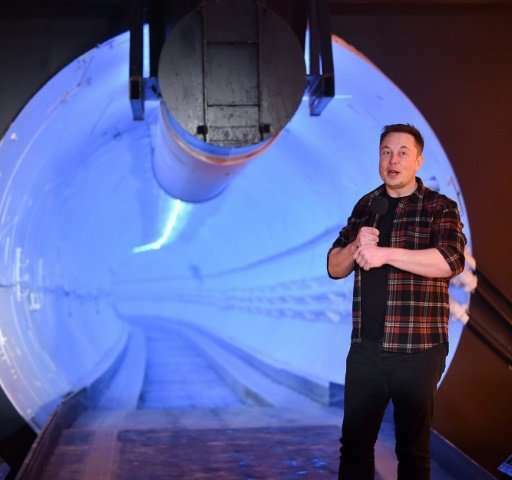 Elon Musk said the only way to solve traffic problems was "to go 3D, for the transport system to match the living quarters"
For his idea to succeed, Musk must manage to slash the time and cost of tunnel drilling. Conventional tunnels take, on average two to four months to dig a mile (1.6 kilometer} proceeding "14 times slower than a snail" while costing a billion dollars, he said. The Boring company, on the other hand, was on the cusp of deploying a prototype "Prufrock" machine capable of drilling 15 times faster than the best gear in use now, according to Musk. Like the "Godot" and "Line-Storm" models that came before that machine, the nickname was inspired by a literary work. Prufrock came from a poem by T.S. Eliot. Musk's mechanical recipe includes using batteries and electric motors to boost power to boring machinery while eliminating harmful exhaust fumes.